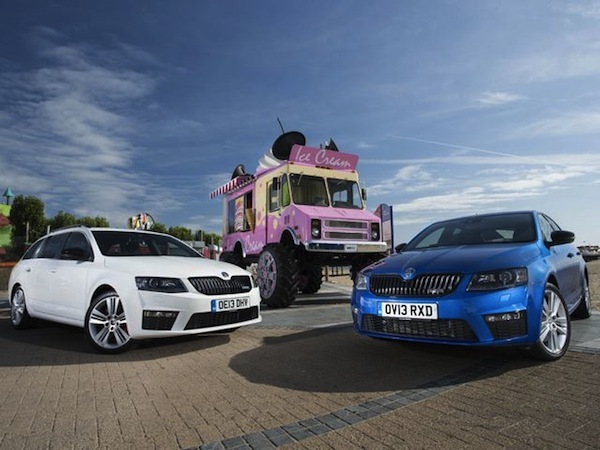 To mark the release of its new monster truck, Czech carmaker Skoda turned one of its 5.5-ton, 21-foot tall Octavia vRS vehicles into what it claims to be “the world’s biggest ice cream van”. 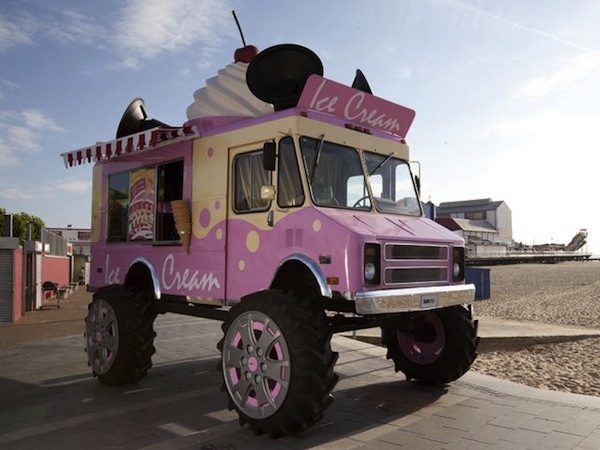 Debatably the ‘meanest’ and ‘most badass’ ice cream mobile, the vehicle sports tires that are 5-foot tall and four large speakers. 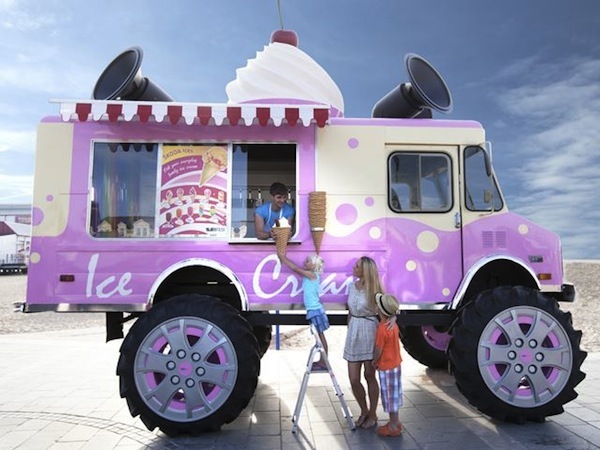 The Skoda Monster Ice Cream Truck will be touring the UK to give out up to 6,500 free ice creams to kids. We just wonder what kind of jingle it would be playing as it travels down the streets—something that leans towards the rock genre to suit its size, or something that sticks to tradition?